On 12th January 2017, the 6th Armstrong Odenwald factory (AOY) moved to its new location in Chengdu, China. Over 100 guests from Armstrong HQ, Armstrong Odenwald, and keys suppliers including Kairuida (Harbin), Yongdi (Chongqing), Chengfeng (Changzhou), Huaxin (Changzhou), Kexin (Chengdu) graced the occasion. 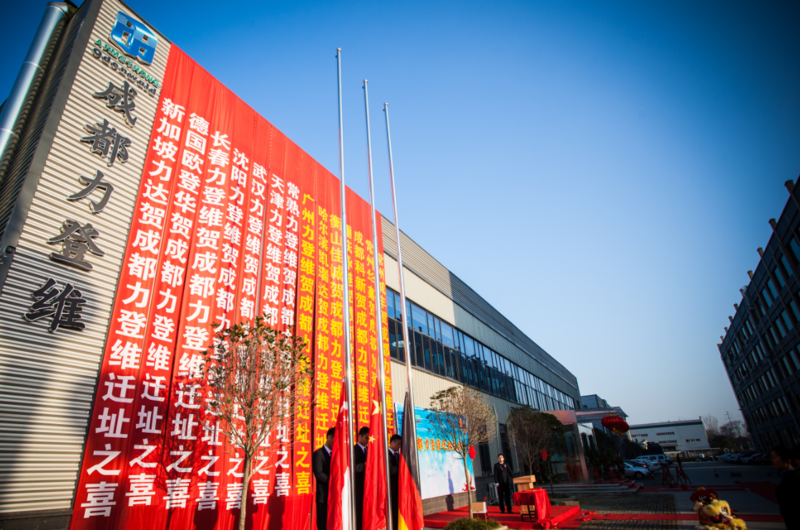 The event began with a flag-raising ceremony, followed by opening speeches from Mr. Gilbert Ong (Chairman & CEO of Armstrong Group) and Mr. Li Yu (General Manager of Armstrong Odenwald Chengdu); and concluded with a lion dance and inaugural factory tour. Established in 2014, Armstrong Odenwald Chengdu is one of the Group’s youngest plants. With the increasing automobile demand in Chengdu and Chongqing, this relocation is a strategic approach to keep up with growing production and to support the projected increase in sales. The Management wishes AOY great success in their new pasture this 2017!